Meet Doña Maria. She is a mother, housewife, agricultural worker and shop-keeper, who lives with her two daughters in a rural community, located approximately 30 kilometres from Nicaragua’s capital city, Managua. Until recently, she was one of 1.4 billion people on this planet without access to electricity. 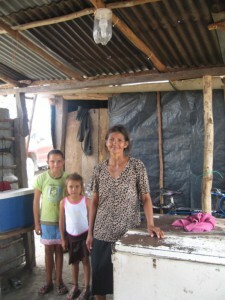 That was until Doña Maria participated in a programme that provided her family with a solar home system (SHS). The SHS means that Doña Maria has electric lighting – she no longer suffers the polluting kerosene lamp or strains her eyes with the low luminescence of a candle. Doña Maria can power a limited number of small devices – which means she does not have to travel to the nearest grid-connected town to recharge her mobile phone. In this blog post, I highlight Maria’s story to discuss the realities of using such a system, while also considering what this tells us about the international energy community’s responsiveness to the needs of the global energy-poor. SHSs and other solar lighting technologies provide modest amounts of electricity to several million people like Doña Maria across the developing world; small scale solar energy systems have emerged as keystone technologies in international efforts to address energy poverty. So too in Nicaragua, the SHS has become the technology of choice for off-grid areas, stimulated by the World Bank’s Renewable Energy for Rural Zones initiative. It is hardly surprising that SHSs have penetrated rural energy mixes globally. They promise a great deal. SHSs are climate-friendly, deliver cost effective electricity (compared to expensive grid extensions), and are ostensibly suited to the electricity needs of ‘typical’ rural households – which render them highly attractive to donors striving towards ‘sustainable energy for all’. But how much of a voice do these households have in the global roll-out of such technological interventions? Previous experience with initiatives such as the improved cookstove suggests that a lot remains to be done in terms of engaging with how people actually define their energy needs, wants and priorities. For the international community, an important task is to define minimum electricity needs, so that progress made towards energisation targets can be monitored. Definitions of basic access thresholds vary from organisation to organisation; take for example the IEA, which estimates 250 kWh per rural household, per year. This translates into 2 compact fluorescent lamps, a floor fan, and a radio for 5 hours per day – or as Roger Pielke Jr. calculates – approximately 2.2% of the energy used by the average American. This raises some concerns. Firstly, regarding energy equity – or the startling gap between per capita energy consumption in the developed and developing world. Secondly, that minimum access thresholds imply homogeneity amongst off-grid householders, when in reality, energy needs will vary according to factors such as gender, culture or climate. The simplification of energy needs into kilowatt hours implies that a technological fix is required – this is where technologies such as the SHS step in. Research into the realities of life in off-grid regions has shown that meeting energy needs requires much more than just technology. Despite living within close proximity to electricity distribution poles, the grid will unlikely ever reach Doña Maria’s community. Approached by an NGO offering long-term micro-credit to purchase a SHS, she undertook an interest-free loan for the system, agreeing to pay US $11 per month for the next six years. Doña Maria feels at ease with her SHS. With electric lighting she can easily spot dangerous spiders and snakes, she can read the Bible, and help her daughters with homework – this, all during the hours of darkness. Previously she would have simply gone to bed at nightfall. One problem Doña Maria has with the system however, is its limited capacity. The picture below shows her standing next to a rusting refrigerator; her 50Wp SHS is not powerful enough to operate this appliance, and so she fills it with ice – purchased from a nearby grid-connected town – to store and cool bottled drinks, which are sold to local workers. “Of course, I’d like to switch to a system that powers a refrigerator” she tells me, “so that I don’t have to buy ice every other day”. Don’t get me wrong – Doña Maria is happy with her SHS. However, she tells me that what she needs is to be able to generate an income. Being able to power a refrigerator requires “at least 10 panels” however, which would prove to be prohibitively expensive for Doña Maria’s family. Echoing other studies, the SHS in Doña Maria’s house – while contributing quality of life benefits – has not helped to improve her income levels. This is one of the many stories I heard while interviewing users of SHS in Nicaragua that illustrated to me the not-so-straightforward nature of ‘needs’ in the context of electricity access. As the scholar Arturo Escobar notes, “most often, the interpretation of people’s needs is taken as unproblematic, although it can easily be shown otherwise”. The international community working towards ‘energy for all’ is at times guilty of the ‘we know what the poor need’ attitude – which has implications for the types of energies (and quantities of energy) that are championed to tackle the injustice of global energy poverty. Experience suggests that technologies are often not adapted to specific local contexts and the needs and skills of users. One case from Bangladesh brings into sharp relief the harmful implications of interventions that are technologically-led or make assumptions about users. While it was assumed that SHS would lighten workloads and translate into educational benefits, an unintended consequence of introducing night-time solar lighting was to extend women’s working days – applying a further burden to their ‘already-tired’ bodies. For me, these stories raise important questions, pertinent to this project on research responsiveness and public needs. For instance, how might we begin to unpack the meaning of ‘needs’? Who has the power to define ‘needs’? What do we mean by ‘public’ (i.e. international vs. national publics, or the importance of gender)? Finally – and very specifically – what types of research might help the international community to respond to the enormous challenge of providing ‘energy for all’? Dani Gent is a research and enterprise associate at Loughborough University. 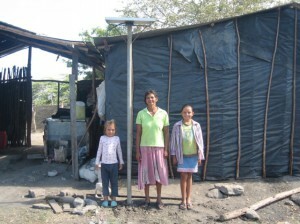 Her PhD examined the dynamics and implications of growth in Nicaragua’s off-grid solar energy market. Dani is currently on secondment at the Energy Generation and Supply Knowledge Transfer Network and International Climate Fund team at the Department of Energy and Climate Change (DECC). Note: This post is part of a series of blogposts for a policy thought-leadership project on Responsive Research supported by Sciencewise-ERC. Sciencewise-ERC is not responsible for the content of any of the views expressed here. This is quite interesting as it has opened my mind to terms such as global energy poverty and energy equity. Also the idea of wrongly assuming the needs of the poor as in the case narrated being the assumption of improved quality of life rather than improved income level. I have just been further enlightened. I am an architect with a strong passion for the built environment and sustainability.